ONCE MORE WITH FEELING: What scares you? There is so much in our world that is frightening - more now than ever. This sense of fear, of disbelief, of hopelessness, often renders us mute or stuck or simply unable to take a breath or a step or know what to do next. As you know, this is not a political blog, but how interesting it seems, that as I write the above paragraph, it can be talking to you the artist and you the performer as you navigate the culture of the business, should you want to pursue having a career. I mean it! What scares you? What scares you about actually developing craft? What scares you about developing your artistry so you can summon your talent at will? 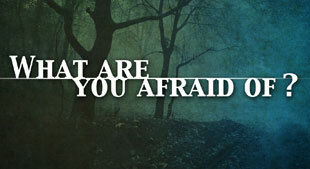 What scares you about the business? What scares you about walking through that door and saying "hey this is me, and this is what I do"? What scares you about sending out that application? That submission? What scares you about walking into that audition? What scares you about getting that callback? Not getting that callback? Opening that email? Not getting an email? What scares you about walking into a class? into a lesson? What scares you about booking a project? What scares you about practicing? What scares you about taking a step outside your comfort zone? What scares you about finding out what you can actually DO well and release what you can't? What scares you about discovering what you NEED to do? Okay - you may be saying, "Pfff Susan I am not scared." Fine. Choose another word then. Change "what scares you" to "what's stopping you"; change it to "how are you responding to" or "what motivates you" or "what stops you". It all stems from the same place: YOU. Denial or dismissal or procrastination (and I have done ALL of it, so don't with me...I see you!) is a form of stress management. When you feel like something is giving you anxiety, a small or large panic attack, an opportunity to hide or turn away, there's your fear right there. Sometimes what scares you, is the fear itself. The fear of failure? The fear of actually succeeding? And what is THAT anyway? Succeeding in what? Succeeding with what? Succeeding where? Succeeding how? Who is that in the mirror and how do I come to terms with HER or HIM in a way that makes me feel like I am DOING something every day; not for the business, not for the craft, but for my place in it. Your place matters. The thing is, you have to create it by being there. You have to create it, hone it, nurture it, stand your ground in it, commit to it. You have to acknowledge each emotion, and claim them all as you have strength to. You have to make that place yours and take it with you. Think about being on tour: so many of us create "home" around us in a hotel room - photographs, "stuff" that only matters to us, that gives us a sense of belonging somewhere. This is what brings us back to center. This is what allows us to have a place to respond from and a place to return to. So, what scares you? Do you have a place - your place - within yourself that you can take with you into every situation, every possibility, every sudden change? Does it allow you to meet each situation head on? More importantly does it reveal to you, and are you aware when the excuses begin or when you feel the fear seep through and make you back away? It's okay to be scared. It's okay to be anything. Claim it, and discover how you can DO in spite of it, despite it, with it, beyond it. One step. One idea. If it feels too overwhelming, stop and sit down and breathe and BE WHERE YOU ARE. When we are not where we are, due to denial, fatigue, unawareness, delusion, we cannot see where we are going, what we are doing, who we want to be, or how we want to be seen. Take a breath. Where are you right now? Claim that. Stay there as long as you need to in order to make that real for you. Take that place with you: from one activity to another and be aware of it. You are in charge of YOU. Nobody's the boss of you - except YOU. So what do you have to say? What do YOU have to do? Want to do? Need to do? Want to be bothering doing? You can choose to be scared and do it anyway. You can choose to be frustrated and find a new way to get there. You can choose to stop. You can choose to find motivation somewhere. You can choose how you feel and how you respond, not based on the outside but based on YOU. As human beings and as artists we have this miraculous, wonderful and frustrating as hell thing called CHOICE. It allows us to respond in ways more creative and magical than we allow ourselves to, including making another choice! Sometimes it's clear, sometimes it's not. Meet it head on, find it, and make a choice about what you will do with it. Your fear. Your choice.